So, I know generally we don't use this forum for relationship advice...but since this is a forum with nurses ...I know you guys would understand more of where I'm coming from. I've been in a relationship for 1year and a half. I really love this man, I do. However, it's kind of feeling like I'm slowing down for him to catch up. I met him while I was a tech...he currently and is still working as a food server in the hospital. I was attracted to his humor, how nice he was , how he made me feel. I fell in love. Well fast forward I have my nursing degree and I'm making a lot more than I used to as a tech. Also he's restricted on paying for a date half the time so I put my money in to pay for our dinners or when we go out...I'm like well half and half. Another thing is he's struggling to obtain his GED. Dropped out of school because he had a hard knock life ...in his early 30's as well. He has passed everything except the math portion to which he has tried 3 times (and is really close like 2 points away) to passing. Cut him loose so he can find someone else. It doesn't matter if you're "mean" or not. You are who you are and he doesn't have what you're looking for. Marriage is a financial partnership as well as a romantic one. If you know he's not a good partner for you, quit wasting his time. And yours. Yes. It's hard because every time I do try to let go....it doesn't last for long...he's begging me back promising me that he is trying to do better it just takes time. He tells me I'm the only one for him. Only you know what is best for you. Either your don't care about the financials and his difficulty obtained his GED. If you can't get over those things, then you have to end it. It is not mean or selfish of you to do that, but you have to be firm and it has to have finality. You would need to tell him that you cannot get past that, it will not work out, and that it is your final decision in the matter. If he begs you to come back or tries to make promises, you have to stand firm. Before all that, though, you need to decide what is important to you. I think, yes, you are mean. You sound like you're totally judging him for being poor and uneducated. Why should he have to pay for all the dates? Because he is a man?! Sounds to me like you've already decided he's not good enough for you so let the poor guy go. That was directed towards you. Thank you to everyone that's replied. It's a sensitive topic for me just wanted some clearance in the head there. Again thank you. We sometimes get into arguments when I tell him my parents may be hesitant on their little girl dating someone that's not at the same pay level to not carry the weight. This statement, in particular, I do think is "mean." Stay with him or don't stay with him, but it seems pretty passive aggressive to me to say to him that your parents are concerned about him dating you because of his financial status (which, of course, anyone with any sense recognizes as you saying that you are concerned about dating him because you make more money than him). I was in a serious relationship for many years with someone I had met through work, someone who was a tech (working his way through college at the time) and I was an RN, and I made a heck of a lot more money than him. We both knew that, but I certainly didn't rub his nose in it or use that as a weapon! If money is what's important to you, then cut this guy loose so he can find someone who will actually appreciate him and value him for who he is, not how much money he does or doesn't make. Ok I hear you thank you for replying. I do admit I go into passive aggressive modes. I love him for him not for the money. I just want to make sure we have a secure future with him getting his education as well as with his finances. I do value him believe me I do. You say that you "love him for him, not for the money," but clearly the money is an issue for you. Maybe he doesn't really want to further his education. That's his choice. That's okay with you, or it's not. 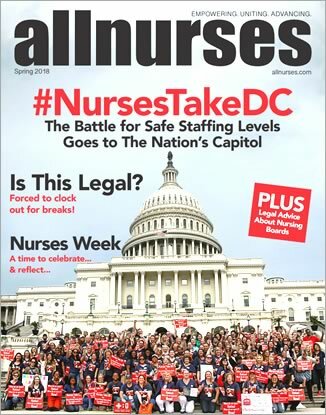 If you're working as an RN, you'll likely be making enough money for both of you to have "a secure future" together (esp. if he already owns a house), but it sounds like you are really bothered by the financial imbalance, regardless. He's right -- there are lots of couples in which one partner makes a lot more money than the other partner. If it's a straight couple and the man makes more money, that's the conventional, traditional model, and most people are comfortable with that. If it's the woman who's making more money, that's more challenging for a lot of people with conventional values and expectations. If they care about each other and are committed to the relationship, they make it work. If you can't make peace with the idea of making more money than him (and that possibly not changing over time), it would be kinder to let him go now and both move on.